The Bonhams auction house has built a tradition of offering highly collectible and rare cars for auction over the years. Nothing else for the 2018 Bonhams Scottsdale auctions. The Bonham auction has done a tremendous job bringing together some extra ordinary Porsches that will cross the block. Pretty sure many Porsche fans will show at next January 18 at the Westin Kierland Resort & Spa. 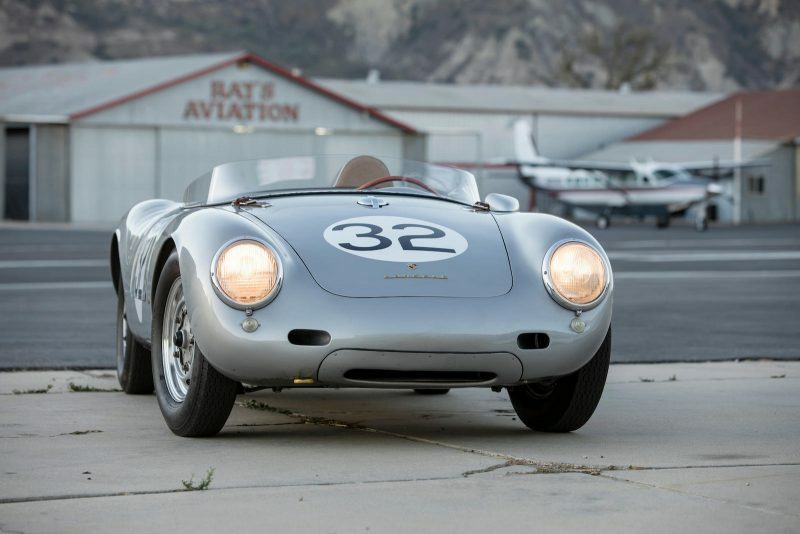 The most bespoken Porsche that will be auctioned at the Scottsdale Auction weekend is without any doubt the Porsche 550 Spyder. Bonhams claims the car to be one of the most original Porsche 550 Spyders in existence and has some stunning errors in the description of the car. Even though some question that statement, there’s absolutely no doubt about the historical importance of this particular car. The silver Porsche 550-0145 competed in many world championship FIA events in 1958 as a factory Porsche works entry with legends as the dutch count Carel Godin de Beaufort or Richard von Frankenberg at the wheel. The mightiest achievement was a 5th overall, 2nd in class placement at the Le Mans 24 hours. Next to that, this Porsche 550 Spyder is believed to be the only Porsche 550 Spyder to have been entered and placed in a Grand Prix: 11th at the Dutch Grand Prix in Zandvoort. Another rare gem in the auction is the 1995 Porsche 993 Carrera RS 3.8. The car was originally sold to Japan and is recently imported in the USA under show and display was. Even though it is a highly collectible and limited production car, it is not certain it will catch the highest price as this type of Porsche was originally not intended to be sold in the USA. On the other hand, a true collector will surely welcome a car like this in his car vault.